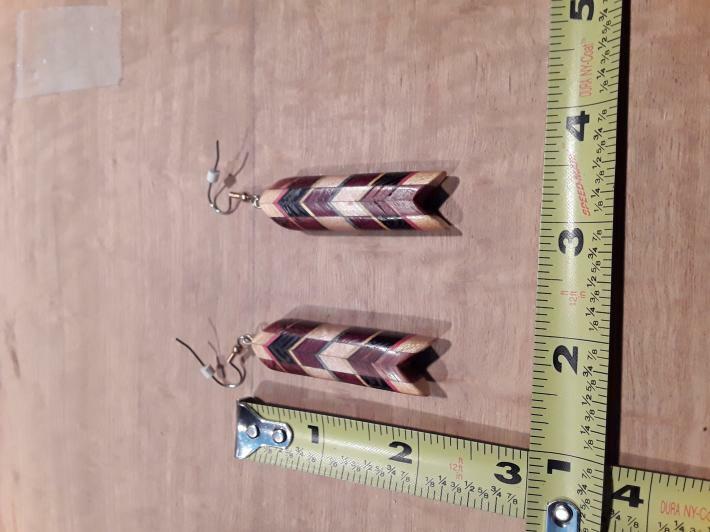 I have this style of earrings in different shapes and laminated woods, as well as various sizes and if you have a specific shape you want a pair or more made just for you, please get in touch with me. 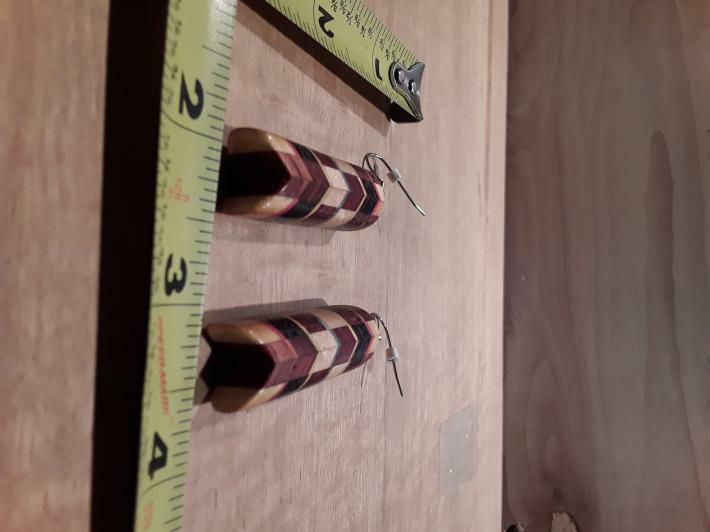 As I have a variety of laminated blocks allreay made..
Click on the photo and expand it to get a very close look at this. 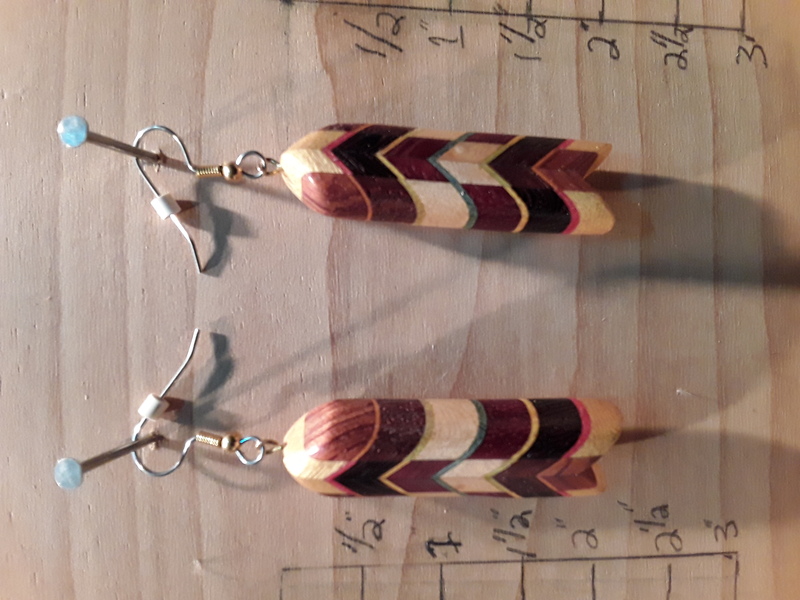 These were hand sanded from 150 grit to 600 grit, then blown off with air, double dipped in Watco Natural Danish Oil, dried for 30 hours and then buffed for a smooth feeling.